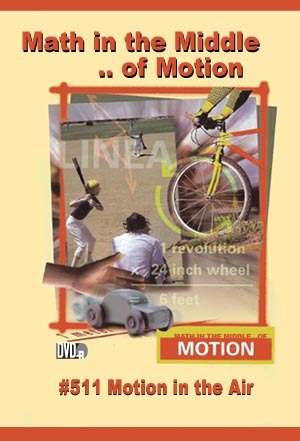 This type of motion results from the combined effect of the forces of lift, weight, drag, and thrust. Each of these forces changes during a flight. An airplane pilot and a hot air balloonist explain how they adjust these elements, and a zoologist explains how the body of a bird is designed for flight. •Realize how important the force of the wind is in calculating everything from flight time to fuel consumption in an airplane. •Calculate how fast different species of birds fly when compared to one another. •Explore the relationship between the weight of a falling “helicopter” and the time required to travel a specific distance.